RV Wash – Live MoHo! One of the nice perks of staying in the Oasis (or any large RV park) is the availability of services, many of which are on site. 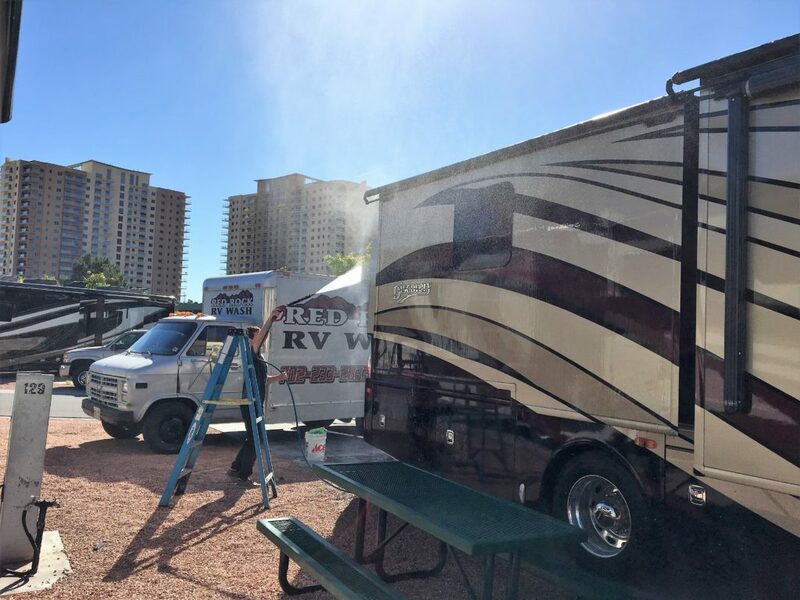 We had Red Rocks RV Wash come and clean two months of road grime off our MoHo today. They sent one guy out to our site to do the job. He spent about 5 hours washing and waxing our Discovery. It looked amazing when he was done! Fortunately for him, the day wasn’t especially hot. I can imagine this is a HARD job when its 115 degrees outside.